Volkswagen works council leader Bernd Osterloh has been appointed head of the works council at Porsche Automobil Holding. Osterloh's deputy will be Uwe Hueck, head of the Porsche works council. Osterloh and Hueck came to blows earlier this year over a dispute about how much influence VW workers should have on the Porsche Holding supervisory board, and how much influence Porsche workers should have. 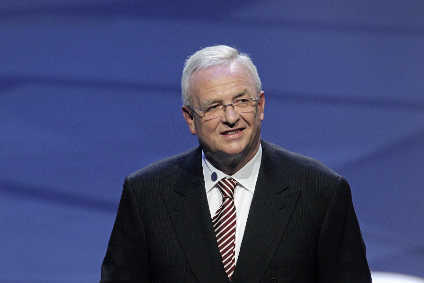 Osterloh argued that Volkswagen's 360,000 workers should have greater influence than Porsche's 12,000. This is an important issue because of Germany's co-determination system, which means that workers have a say in major management decisions. The row has complicated Porsche's acquisition of Volkswagen. Porsche and Volkswagen will each have 20 representatives on the new works council. Thirteen of Volkswagen's representatives will come from outside Germany while five of Porsche's will be from other European countries. Osterloh told Reuters that VW workers are sticking to their demands. "We want to have appropriate representation for the VW staff. We want to have the manufacturing centres reflected" in a proportional way," he said. Porsche Automobil Holding is currently the largest investor in Volkswagen, and plans to take a majority stake within weeks. It wants to raise its stake to 75% next year.